Regardless of your sympathies or allegiance, if any, toward Israel or Palestine, sadly the blueprint for today’s war is as a result of incredible short shortsightedness and almost incalculable stupidity. To even suggest a land be cut up and designated for another people from existing land owned by the inhabitants in the modern era is a recipe for fighting for generations. The fact that this has involved Israel and Palestine isn’t even of relevance. If you chopped Scotland up and divided it in order to provide a group of people with a ‘home’ because their spiritual home or whatever is within Scottish borders, I’ll guarantee this would upset many many people and would continue to do so for decades if not centuries. The UN was in involved in creating the State of Israel in the 1940’s after World War II. You cannot whip up a new country where a country already exists and expect there to be peace and harmony, especially in a region like the Middle East that has always been volatile. A mad idea. Palestine has every right to be angry at what happened. Their land was annexed and to this day continues to be the target of Israel who continuously bullies and bulldozes its way through Palestine settlements making Palestine even smaller day by day. Palestine is trapped in the equivalent of a trash compactor, the walls squeezing in on them bit by bit. Religion obviously has a huge part to play in this bloody saga as Jewish Israel fights the values of Islam and radical Hamas. But this is beyond religion. 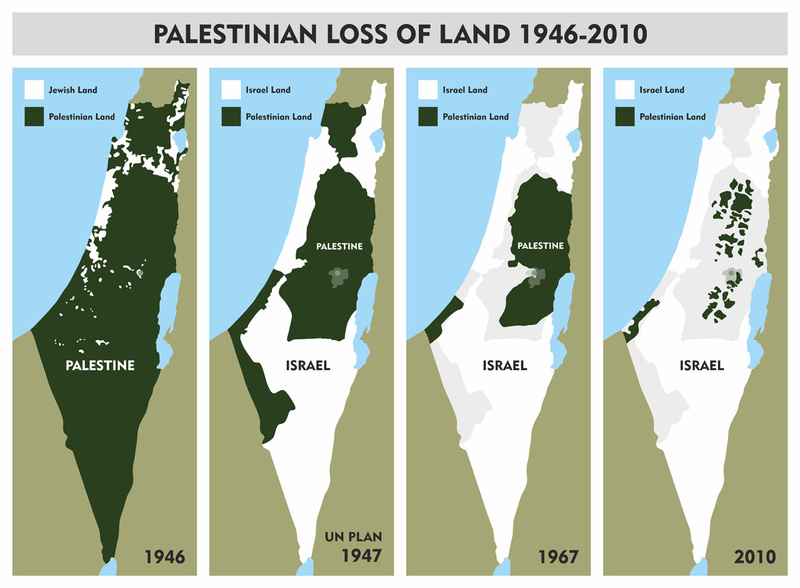 Israel was handed land and continues to land grab sixty years after it was formed. Hamas fires rockets and Israel then bombards them back with heavy duty expensive military hardware, blitzing buildings and families. Death tolls are seldom accurately reported but it should be obvious to anyone with half a cerebellum that rockets don’t have anywhere near the destructive power of missiles or fighter jets. The whole history of the conflict is another sad sad reminder of what human beings are capable of doing over and over and over again. History teaches us nothing, or so it seems. Jews obviously suffered hugely in WWII. Yet, you would think they would be the one people who would be the last to resort to war or fighting of any kind. But here we are seventy years later and Israel is showing all the signs of a brutal, remorseless and unsympathetic state. Thankfully people are beginning to realise that Israel is not the damsel in distress being hit by rockets, but that they themselves are behaving in a brutal fashion and have no regard for civilian lives of Palestinians. Add in all the harassment and feeling of entrapment for many Palestinians as well as fear of having their land taken away, and it’s really an amazing PR job by Israel and its associates to have generated Israeli sympathy for such a long time. Only recently does it seems there is any balance to the coverage of the war zone, at least on the internet. Hopefully there will be a solution sooner rather than later. Knowing people’s capacity for violence rather than peace I can’t see an end in sight. In light of recent news it is also America’s war, as they are providing vast sums to help support Israel’s defence systems. Seems about right don’t you think? The UK was involved in creating Israel, with disastrous consequences, and the US is helping out in a war on foreign lands. Little changes. The English professor took the words right out of my mouth. What I always find terribly sad is when a group that has been discriminated against for many decades discriminates against another group with the same intensity. Yes, that’s one of the worst things about the situation. Unfortunately when considering the overriding psychology of the conflict, those who are pushed will push back with greater force in reaction. Sadly Palestine has been on the end of this for over 60 years now as they became Israels outlet for discrimination, violence and terrorism. You are right, of course, in all that you say. Except that it is necessary to point out that Hamas is actually a creation of and the logical outcome of, Israel’s own obduracy. No people can be pushed indefinitely and that is what the Israelite government did. The response was the creation of and subsequent election of, hard-line Hamas, in Gaza – Election, note! The only time that they had a prime minister about to talk peace – Yitzhak Rabin – they assassinated him themselves. The terrible irony is that both Palestinians and Israelites would be far better off in every way as friends. 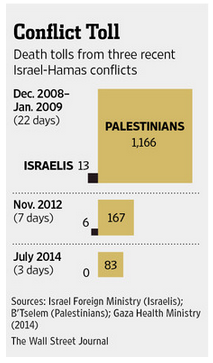 But as long as the USA totally subsidises (and arms) Israel, the chances of peace remain, sadly, minimal.